One of the newest trends in destination weddings is to start the fun before the wedding with destination bachelorette and bachelor parties. A destination party to celebrate your friendship with your best friends is a great way to signal the end of one chapter of your life and the beginning of another. 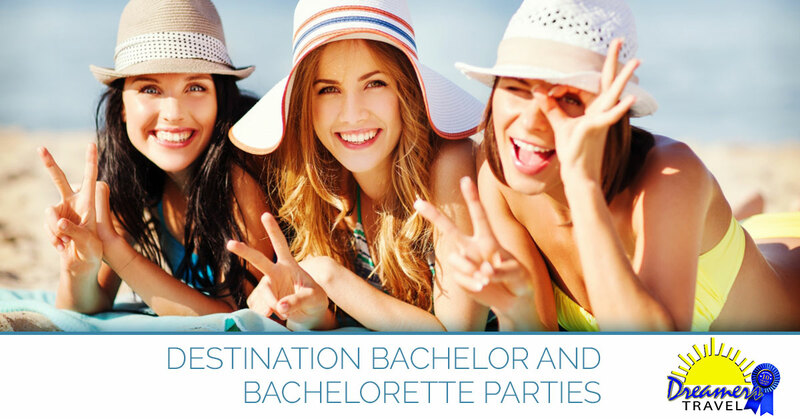 There are lots of great reasons to choose a destination bachelor or bachelorette party, and we’ll cover a few in this week’s article. Call your travel agent at Dreamers Travel to find the right destination. Okay, we can’t promise you won’t get covered with mud and sweat, but choosing a destination for your party before your wedding means you don’t have to resort to wild partying and dubious choices in the name of having fun. This doesn’t mean you and your friends can’t have a few drinks and let loose at night, but our destinations are so fun, you might be high on the thrill of a Jamaican Bobsled or Skyride & Zipline tour based out of Negril, a town on the western side of Jamaica. Or maybe a dolphin and whale watching boat tour are just what you and your besties want to do to bond one more time before you go off on your big matrimonial adventure. If your idea of a good time for any getaway is scratching something off your bucket list, you can use your destination bachelor or bachelorette party to do something you know for sure your soon-to-be-husband or wife would veto. How about a helicopter ride over the Grand Canyon? If you are marrying someone who is afraid of heights, this might be the right choice for a bachelor party. If your soon-to-be husband or wife is deathly afraid of being out on the open ocean, grab your friends and head to Montego Bay for a Reggae Catamaran Cruise. You don’t need to go to Vegas or New York City to make your way through the urban jungle, and if the tropics don’t appeal to you, you can go to a place that brings out the kid in you and your friends. 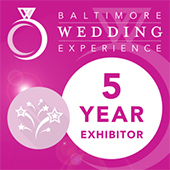 Make it one last trip before you get married, have kids, and dive head first into adulting. What could do this more than a trip with your best friends to Disney World or Disneyland? Indulge in your love of princesses and cartoon characters. Talk to Jennifer LeBrun, our Disney travel agent, and she can help you have a magical time. Having a theme for your party is part of the fun. You can go with the traditional NSFW themes or pick something that is all yours. For instance, if you love dolphins, you can take it to extremes and have your bachelorette party be all about these amazing mammals. You can choose a trip to Ocho Rios and indulge your love with a selection of dolphin-themed adventures. You can choose from the following: Dolphin Park, Dolphin Touch, Dolphins Encounter, Swim with the Dolphins experience, and an amazing opportunity with a six-hour Dolphin Trainer for a Day experience. You can combine your parties with your destination wedding, too! To find out about all the possibilities, call and speak to one of our experienced and knowledgeable travel agents.